Becoming a LAFCU Member is fast & easy! 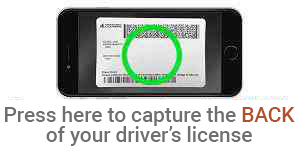 Identification showing your current physical address (California Driver's license or California ID Card). Provide a recent utility bill if address on your ID is not current. Information about your source of funds (credit card, credit union or bank statement, or paper check). USA PATRIOT ACT: To help the U.S. government fight the funding of terrorism and money laundering activities, Federal law requires all financial institutions to obtain, verify and record information that identifies each person who opens an account. What this means: When you open a LAFCU account, we will ask for your name, address, date of birth, and other information that will identify you. We may also ask to see your driver's license or other identifying documents, and we will keep a copy of those documents. This account earns interest with a $1,000 minimum balance. Please take a picture or upload a copy of the front and back of your ID document such as Driver’s License or U.S. Passport. 2. Are you related to anyone who works for Los Angeles Federal Credit Union? You are now ready to submit your application! By clicking on "I agree", you authorize us to verify the information you submitted and to obtain a CREDIT REPORT concerning you and any Joint Account Holder. Upon your request, we will tell you if a credit report was obtained and give you the name and address of the credit-reporting agency that provided the report. You warrant to us that the information you are submitting is true and correct. By submitting this application, you agree to allow us to receive the information contained in your application, as well as the status of your application. You understand that any funds you ask us to transfer into your new LAFCU account(s) are subject to a holding period of up to three (3) business days AFTER we receive the funds. This holding period is needed so we can verify the availability of funds. © 2013-2018 MeridianLink, Inc., All Rights Reserved.